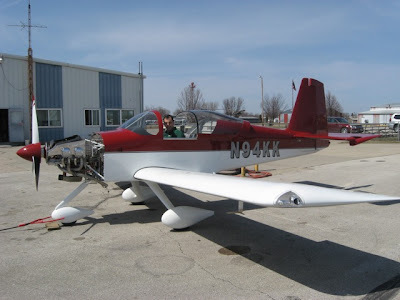 Kelley Kokemiller ran the engine on his RV-9 for the first time on March 29 and will have it flying soon. The painting was done at W&C Aircraft Works. Kelley is president of Boone Area Pilots Association and also owns a Piper Colt.